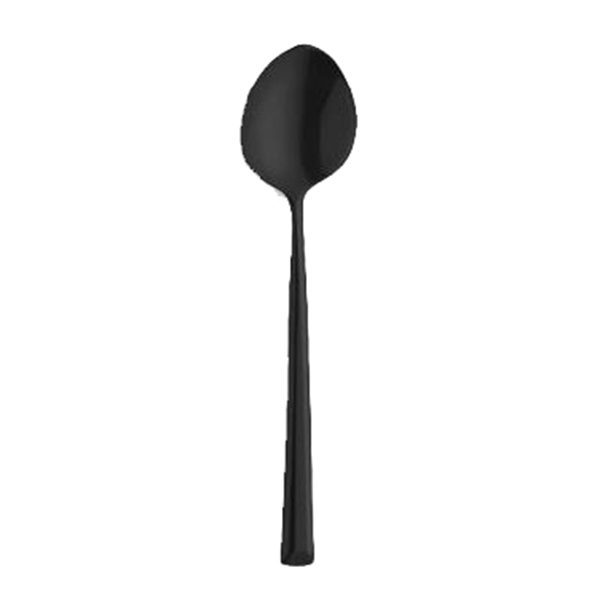 Amefa’s Metropole black Dessert Spoon is a 7-1/2” spoon that adds the outline to your table setting and keeps food in focus. 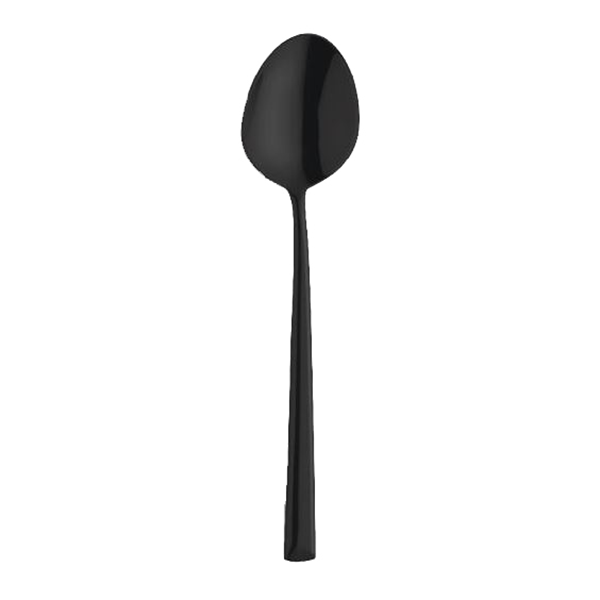 Metropole black is an LMT-exclusive collection of high-gloss black flatware that reflects the striking urban architecture that surrounds us. 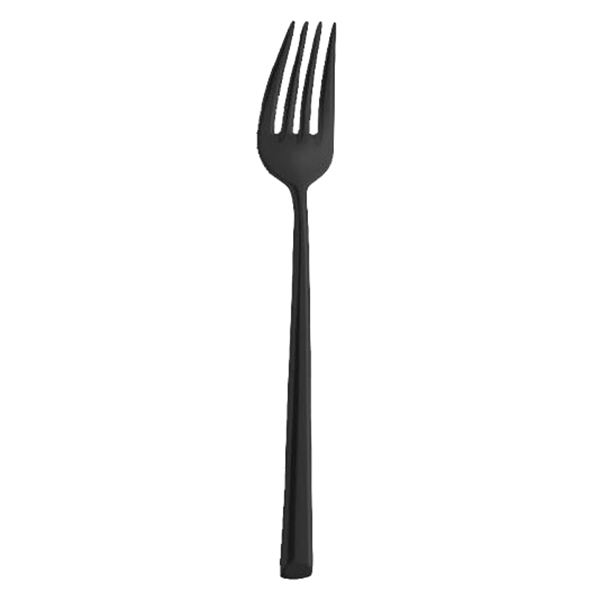 It features long, slender lines with perfectly smooth, sloping handles, executed in 18/10 stainless steel and finished with durable, black PVD. PVD is a vacuum-coating method used to chemically bond a variety of finishes to metal. It seems like alchemy, but it’s pure science, and Amefa has mastered it.